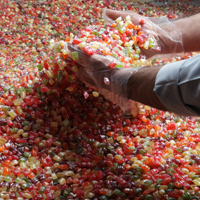 Mimas Sweets Factories, Mouti Salkini and Sons, were established in 1923 in Homs City which is located in the central area of Syria, 160 km to the north of the southern capital Damascus, and 180 km to the south of the northern city of Aleppo. In 1960, a new branch of the factory was established in Beirut, Lebanon: the two factories were merged in 1980 and a new factory was founded in the main industrial area in Homs on a large piece of land and in a huge building equipped with modern developed machines of German and Italian manufacture. 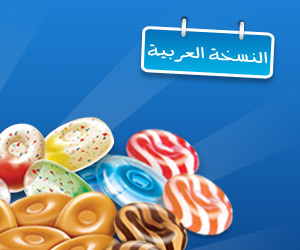 Today, Mimas Factories specialize in producing all kinds of suffed candies and toffees of high quality.